Frankly, no. though the real explanation is more complicated than that. Venezuela has been through some serious political turmoil and a borderline civil war in its capital Caracas. There are definite hotspots, but the majority of towns are safe and the people in Venezuela are some of the most peaceful, honest and caring people I’ve met. Its standard advice, if you don’t know the area just use common sense. Caracas is the only city I would have any real worry about, it’s better if you know someone who lives there if you wanted to visit. This is the only city I have heard legitimate horror stories from locals and travellers alike, but I have met many people who live there or have visited and have never had a problem. People in Venezuela don’t exactly expect tourists, so they will almost all treat you like a Venezuelan, this is seriously refreshing in South America. Don’t expect to be ripped off at any street vendors or stores, everyone is quite honest. Booking tours from English speaking tour agencies you may pay more than others, but as I will explain later Venezuela is by far the cheapest country in South America so you will not be paying much more if you do. If you want to avoid getting lost or in trouble I seriously recommend knowing at least the basics of Spanish. Almost no one will speak English, so things like directions might be difficult. #It should be noted the exchange rates are as of August 12th and will likely have increased. Never use an ATM or pay with your card in Venezuela! Never! The official exchange rate is around about 6 bolivares to the dollar. The black market rate is around 650 bolivares to the dollar. Unless you feel like forking out 60 USD for a chocolate bar, stick to the black market rate. The black market is easy to use. All the borders will have vendors selling currencies on the border though they will typically give you a lower price. The best currency to use is USD as it is what everyone is primarily after. But hostels, hotels and travel agencies will be able to help you out once you get to your desired destination. I would recommend only exchanging a little at the border enough for a day or two so you can get a better exchange rate in the cities. One of the risks of Venezuela is that you’re are going to have to bring in all the cash you think you will be using as, accessing your money inside of the country can be extremely difficult, or near impossible. Luckily the country is extremely cheap and you can comfortably survive of 2USD a day, obviously budget more for tours and luxuries. It is also worth noting that things like toilet paper, soap, shampoo, and toothpaste are often “expensive” and hard to find so it might be advisable to stock up on these items. There is so little information on the internet on how to get into the country overland but it is by far the cheapest, safest and easiest option. I will try to explain in detail how to get in trust me if you decide to go overland it will be extremely useful. The reason why overland is the better option is simple. One flights into Caracas are extremely expensive they are over 700 USD from the neighbouring country Colombia. Two as I said earlier Caracas is the city in Venezuela you want to avoid if you are at all worried about traveling there as it is far more dangerous than any other part of the country. Finally foreigners can’t book internal transport from outside of the country unless you find some travel agency inside the country who you can communicate with via email. Flying is expensive, possibly dangerous and uncertain. If you are coming from the Colombian side Cucuta is the easiest route. You can find really cheap flights under 30 USD from Bogota (The Capital) to Cucuta twice a day with VivaColombia. Once you land just ask to be taken to immigration you will have to first check out of Colombia, this should be quick and painless. From there exchange some money across the street enough to get you to your first town. I would recommend exchanging between 10-20USD as the exchange rate on the border will be less around 500 bolivares to the dollar. From Cucuta you will arrive in the Venezuelan border town of San Antonino, immigration is very close to the border and if you choose to take a taxi they should drop you off in front of it. If you decide to walk just ask a local or border guard to direct you it shouldn’t be more than five from the border. From San Antonio I would recommend to head to Merida, it’s about 6 hours away via buses, but you can organise tours for the rest of the country from there. It also has numerous hotels and Posadas to stay in and should be on your list of places to visit anyway. You can get there by getting a bus from San Antonio to San Cristobal and changing bus at that station to Merida. This border is a little more difficult and depending on where you arrive in Colombia costly. Same rules apply as in Cucuta, exchange money before you enter the border and make sure you check in and out of the respective Countries. Once again taxi drivers will drop you at one immigration and should take you to the next, if not ask they are very easy to find. From the border head for Maracaibo as your closest base for exploring Venezuela. Because of its location in the North it might be a better option to leave Venezuela through this route as you will only be a three hour bus ride away from Santa Marta and Colombia’s stunning Caribbean Coast. The Brazilian border, dueto its location can be expensive to get to from Brazil so unless you are already traveling that route this option may not be the most economical. 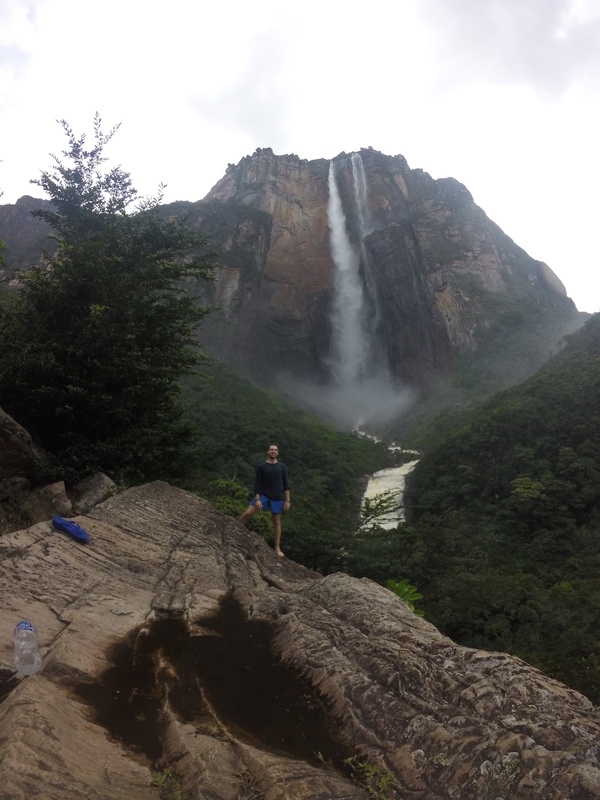 While you will be closer to Canaima and Angel Falls, arguably Venezuela’s biggest attraction you will be very far from anywhere else in the country. Venezuela is one of my favourite countries and should definitely be on your itinerary for a South America trip you can read about my experience here. Venezuela has closed its borders on the Colombian side, but is apparently committed to gradually re-opening them, check back for updates.